Animation action: Animated features targeted to family audiences are one of Hollywood's hottest boxoffice genres. History is likely to repeat itself again this weekend as Disney and Pixar Animation Studios' PG rated 3D animated family comedy "Inside Out"arrives at about 3,800 theatres. It's the first of four animated features hitting the multiplexes this summer to compete for families' time and money. Directed by Pete Docter ("Up," "Monsters, Inc.") and co-directed by first time feature director Ronnie del Carmen, "Inside"is an original production that stars the voices of Diane Lane, Mindy Kaling and Amy Poehler. "Inside's"been tracking best with under 25 women and next best with women over 25. That typically translates into the moms-with-kids audience that turnsfamily movies into hits. In "Inside,"Riley's life hits a bump when her father starts a new job in San Francisco, uprooting her from the Midwest. The Emotions guiding Riley -- Joy, Fear, Anger, Disgust and Sadness – all live in Headquarters, deep inside her mind. Now, as they're all struggling to adjust to change, there's major turmoil in Headquarters. "The Emotions are kind of like the voices in our heads," explains Pete Docter. "When we were just gettingstarted on this film, we looked around -- at our kids, friends, co-workers -- and we realized that everybody hasa default temperament. "We all go through periods of being happy or sad, but certain people are just happy orangry or what have you. Riley is one of those happy kids. So Joy had to be the first Emotion to show up, and shehas a very special bond with Riley." "Joy has 33 beautiful seconds of being the only one there," says Amy Poehler, who voicesJoy. "ThenRiley starts to cry and Sadness shows up. Joy realizes that she's going to have to share Riley with all the other feelings and emotions. "I just love the crazy amount of heart that's in this film. In minutes you go from crying to laughing.And it just looks so incredibly beautiful. It is like a world that feels very familiar and really magical at the sametime." In developing their story, the filmmakers weren't certain which emotions to include. "Somepsychologists claim there are as many as 27 emotions,” Docter notes. "We toyed with adding Pride.Or Schadenfreude, who delighted in the pain of others. But it started getting crowded in there. We ultimately settled on five." They then proceeded to define each of those Emotions, assigning each its own purpose in Riley's mind and determining how each should look on screen. "The look and design of the Emotions had to remind peoplethat they are personifications of feelings," Docter adds. "They're not little people. They’re Emotions. They'remade of energy – they're made up of thousands of particles, which kind of looks like energy. We wanted tocapture what emotions feel like -- the shapes, the colors -- as well as their personalities. "One of my favorite aspects of animation is how expressive it is. You can make a character move in ways that are physically impossible, but really show the way you feel. We were able to push movement in thisfilm in ways that we've never done in other films." "Inside" will have three weeks playing time as the only new animated feature in the marketplace. With its PG rating, it's the obvious destination for families with little kids, although Universal, Legendary Pictures and Amblin Entertainment's scarier PG-13 3D "Jurassic World," which opened last weekend to a dino-might powerful $204.6 million, is a must-see for older kids and even for some of their younger siblings. "Jurassic"was tracking solidly with 25-plus men and nearly as well with under-25 males. It also scored well with women under and over 25. With that kind of four-quadrant appeal, it will clearly be enjoying long legs at the summer boxoffice. "Inside's" first animated competition won't arrive until July 10 with Universal and Illumination Entertainment's PG rated 3D family comedy "Minions." Directed by Kyle Balda (co-director with Chris Renaud of "The Lorax") & Pierre Coffin ("Despicable Me" and "Despicable Me 2"), its voice talents include Chris Renaud, Pierre Coffin and Sandra Bullock. In this new episode in the blockbuster "Despicable" franchise, the Minionsare depressed because they don't have someone to serve. 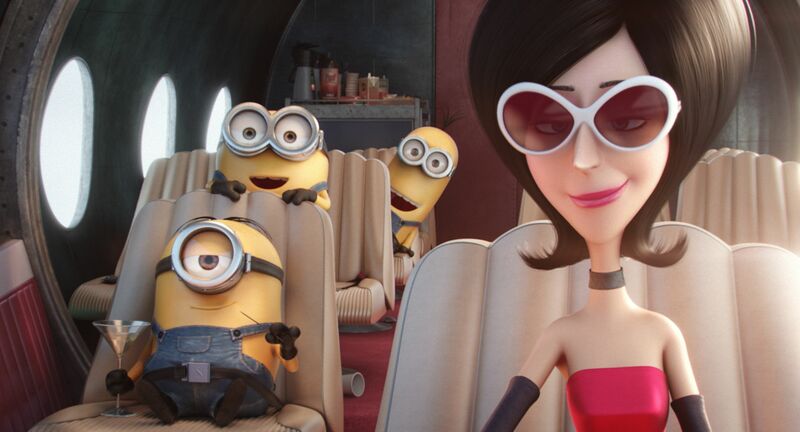 Fortunately, Kevin has a plan and sets out with rebellious Stuart and loveable little Bob (all three are voiced by Pierre Coffin)to find a new evil boss -- Scarlet Overkill (voiced by Sandra Bullock). The franchise's last episode, "Despicable Me 2," opened July 3, 2013 to $83.5 million and went on to do $368.1 million domestically. 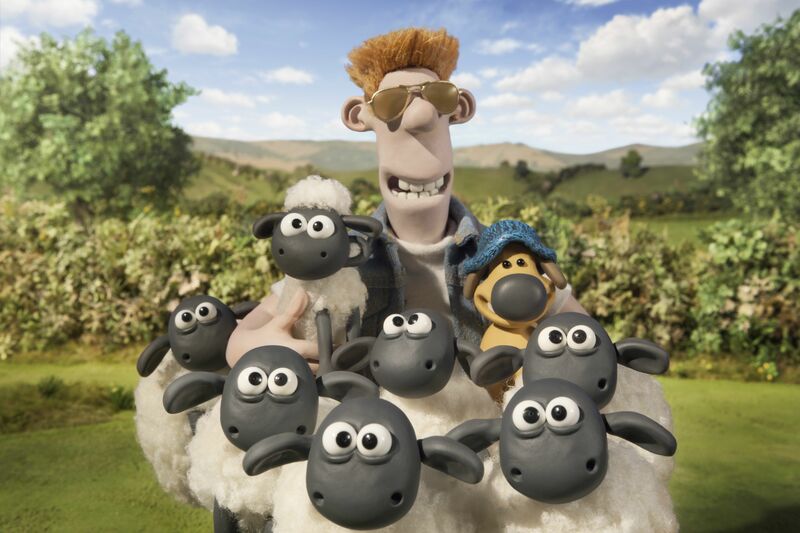 "Minions" will get four weeks of playing time until the summer's third animated feature turns up – the PG rated comedy adventure "Shaun the Sheep Movie" from Lionsgate, Aardman Animations and StudioCanal. Directed by first-time feature directors Mark Burton & Richard Starzak, its voice stars include Justin Fletcher, John Sparkes and Omid Djalili. Shaun takes the day off to have some fun, but winds up with a little more action than he expected – including a mix up with the Farmer, a caravan and a very steep hill – after which it's up to Shaun to get everybody home safely. Two weeks later, the summer's fourth animated feature hits theatres –The Weinstein Company's 3D comedy adventure "Underdogs." Directed by Juan Jose Campanella ("The Secret in Their Eyes"), it stars the voices of Ariana Grande, Matthew Morrison and Nicholas Hoult. Jake lives in a small village where no one can match his skill at Table Football. But, while Jake's (Morrison) a table football winner, in real life he's too shy to confess his love for Laura (Grande), his childhood friend. When Jake beats the village bully, Ace (Hoult), at Table Football, the scene is set for an epic rivalry. Bottom line:Summer is prime time for family moviegoing and animated features are favorites of parents hoping to keep their kids happy and quiet for at least a few hours, especially if it's a rainy day. Disney and Pixar are long established brand names in family entertainment, so even though "Inside"is an original, it should benefit this weekend from parents having high awareness of the movie's creators. Overall, this summer is definitely off on the right foot for Hollywood. "Jurassic's" $204.6 million launch, according to the boxoffice tracking firm Rentrak, is the second biggest domestic opening ever. The record is still held by Disney and Marvel's May 2012 release of "The Avengers"with $207.4 million. Disney and Marvel also have the third best ever debut with "Avengers: Age of Ultron"at $191.3 million this May 1. Its domestic cume is now $444.7 million and its international total is $917.2 million, according to Disney – making its global cume $1.36 billion. Internationally, per Rentrak, "Jurassic" opened last weekend in 66 territories to $307.2 million,bringing its worldwide total to $511.8 million. It's the first time any film has ever hit the $500 million mark globally in a single weekend. Other early summer successes include:20th Century Fox and Chernin Entertainment's R rated action comedy "Spy,"which placed second last weekend with $16 million. It's done $56.9 million in two weeks. "Spy" is a girl power boxoffice hit that should have strong playability through the coming summer weeks. Warner Bros., New Line Cinema and Village Roadshow Pictures' PG-13 rated 3D disaster thriller "San Andreas,"which finished third with $11 million, has done $119.3 million in three weeks. It should continue to shake up the multiplexes as summer unfolds. Universal and Gold Circle Films' PG-13 rated music comedy "Pitch Perfect 2"has grossed $170.7 million after five weeks. And Warner Bros. and Village Roadshow's R rated 3D action adventure thriller "Mad Max: Fury Road"has a cume of $138.6 million after five weeks.